Reposted with permissions from the June 2017 Journal of Corporate Renewal. The healthcare industry faces major headwinds in the coming decade, and many players will be forced to endure numerous opportunities to adapt. The challenges will be many and diverse—changes in the legislative landscape, technological advances, lifestyle developments, and pharmaceutical and therapeutic inventions—will converge to create a very dynamic environment. However, the projected repeal of the Affordable Care Act (ACA), commonly known as Obamacare, and replacement legislation will shape the debate and may lead to significant improvements in the provision of healthcare in the United States. The House recently passed the American Health Care Act (AHCA), but no one knows for sure if there is sufficient support in the Senate for the bill to pass muster. TMA members will be in the forefront of the healthcare industry evolution and will lead many of the transitions that will take place as new challenges and legislation arise. Insurance generally, and health insurance particularly, revolve around a simple premise—pooled risk. Everyone pays into a system that provides insurance benefits for routine care for many and catastrophic care for the unfortunate few. The recent debate about the AHCA exposed many of the basic principles of healthcare insurance. If AHCA fails in the Senate, leaders in D.C. are returning to the drawing board to create solutions that will ultimately affect the way healthcare is paid for, whether that looks like private insurance, some form of subsidized care, or, more likely, a combination of both. If underwriting the risks is performed objectively and correctly, then actuaries (professionals who focus on risk assessment and management) calculate premiums that are necessary to achieve break-even or better on each risk pool. So generally, by taking a hypothetical assortment of people, from young to old, from well to not-so-well, and from risk-averse to risk-tolerant, a good risk pool can be created. Actuaries perform their calculations and create a premium structure that allows everyone in the pool to participate in insurance with a defined set of benefits. Of course, it remains a gamble; one never knows if the group will behave as predicted by the actuaries. External circumstances (e.g., accidents, natural disasters, or viruses) can create more demand for benefits than expected for the risk pool. At the same time, a year of low demand and overall better consumer health could allow the risk pool to perform better than projected. However, one significant factor that is extremely difficult to incorporate is the cost of healthcare. 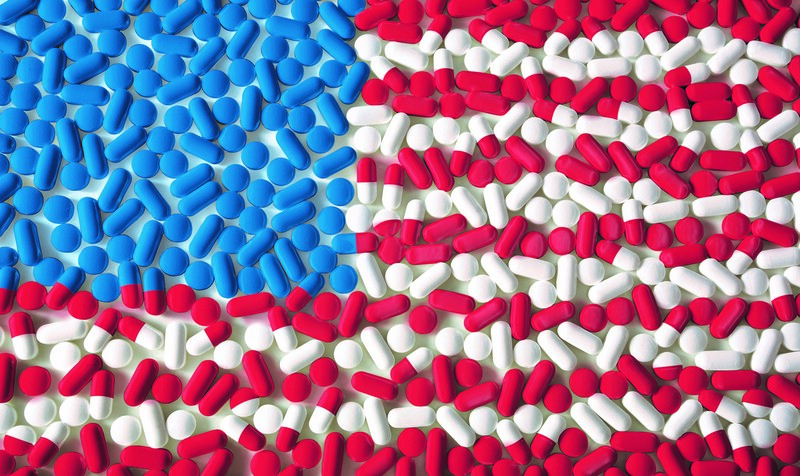 Given the high costs of defensive medicine and prescription drugs, it is extraordinarily difficult to address healthcare reform unless the cost side is addressed. One area likely to face significant change is in the business of, and businesses around, various state healthcare exchanges—whether funded by the respective states or the federal government-funded exchange. Many believe that the exchanges, a component of Obamacare, are failing. A number of insurers are leaving the exchanges. In addition, only seven of the original 23 nonprofit cooperatives formed to provide insurance within the exchanges remain active. These cooperatives were formed using federal government loans. With their failure, the loans will not be repaid and the exchanges they serve will have fewer options. Two significant examples are Land of Lincoln in Illinois and HealthOp in Colorado (there is also legislation pending as of this writing to require Coloradoans to use the federal exchange beginning January 1, 2018). These co-ops were set up along the lines of other well-known entities, such as Blue Cross Blue Shield, but many of the long-standing co-ops have had decades of experience and are well-capitalized. The more recent startups did not enjoy this advantage. Their failures will involve TMA members in at least two ways: to help wind up the co-ops and to help private ventures that either serve the co-ops or will take advantage of the vacuum created by their failures. Countless businesses have formed in response to Obamacare. Many will be scrutinized as the Office of the Inspector General (OIG) for the U.S. Department of Health & Human Services recently did with Colorado’s health insurance exchange. The Inspector General issued a report challenging the Colorado Health Insurance Marketplace, the state’s exchange, to support the expenditure of federal establishment grant funds. The report requests that the state refund $9.7 million to the federal government and implement policies to ensure that the Colorado Exchange properly spends federal grant funds. This situation has not been resolved, as the report was issued in December 2016. However, the circumstances are revealing on their face. The former CFO of the Colorado Exchange operates a private consulting business that benefited through a contract it received from the state exchange. The OIG report notes that these contracts could be improper for a couple of reasons. Notwithstanding the alleged impropriety, this is an example of a private business benefitting from the implementation of Obamacare. If the ACA is repealed, businesses with these types of relationships could cease to exist or be forced to restructure. To the extent that the ACA is repealed, amended, or replaced, the challenges will extend to those whose businesses directly or indirectly are tied to the operation of Obamacare’s myriad organizations. Undoubtedly, this will create opportunities for some businesses while foreclosing opportunities for others. This disruption will generate opportunities for TMA members to lead these businesses through the transitions. All urban centers are witnessing the decentralization of healthcare and moving into a distributed healthcare model—away from large centralized hospitals to a more localized system. Within the 382 metropolitan statistical areas in the U.S., there is a healthcare facility within a few miles or less. This facility may be an urgent care (non-life threatening matters) or a large or small emergency facility or a hospital. In one recent case, two small, full-service hospitals in a metro area were combined through a Chapter 11 bankruptcy plan to realize savings from shared administration. One of the hospitals had started operations within six years and the other had started one year before filing Chapter 11. While this is only one situation, the competitive forces that afflicted these two hospitals will affect many other healthcare facilities throughout the U.S. as well. Because healthcare is viewed as an industry ripe for private investment, as investors fund new businesses in and around the industry, it is only natural to expect that a certain percentage of companies will face restructuring challenges. It is illogical to assume that just because a business is a healthcare facility, it is immune to business forces. Some of the challenges that the primary healthcare industry will face will resemble those that the retail industry has faced, although they will not be nearly as acute. Retail has faced two strong forces: online shopping and a basic imbalance of supply and demand. The same will likely occur in the provision of primary healthcare. As more private equity groups invest in the decentralization and specialization trend, there will be a bias to the status quo. That is, there are a significant number of Americans who receive medical and pharmaceutical treatment for conditions that can be treated with diet, exercise, and non-medical interventions, such as chiropractic treatment, physical therapy, etc. If preventative and alternative therapies take hold and grow, there is the potential to change the supply-and-demand equilibrium. The leading causes of death in the U.S. continue to be principally based on poor diet, obesity, and a lack of physical exercise. To the extent that numerous initiatives underway succeed in convincing increasing numbers of Americans to live healthier lifestyles, there will be a reduction in demand. Any healthcare reforms should include incentives for better behavior that will reduce the need for medical interventions. If successful, the results will impact the financial models that are used to justify investments in decentralized health systems, in much the same way that e-commerce has disrupted the financial projections that supported the build-out of retail centers. However, this will have enormous benefits for Americans, who will enjoy healthier lives. One area that remains critically important but which will require much more focus to address and correct is the high cost of healthcare in the U.S. The reasons are many, but the impacts on the insurance system in the U.S. are real. With a convoluted billing process, patients (consumers) are paying healthcare costs to their insurance provider and paying a portion of their gross bill from the actual healthcare facility where they are treated. Simultaneously, the healthcare facility is billing both the patient and the patient’s insurance provider. Because the patient does not directly pay the entire cost of the services rendered, the patient experience is less important than managing the financial aspects of the system. There seems to be little interest in addressing the causes that really underlie the healthcare debate—principally the costs. This is the type of difficult issue that is perfect for the TMA community; members are used to dealing with difficult core issues rather than allowing structural problems to remain unaddressed while treating symptoms. If healthcare was not so expensive, solutions to various problems, such as the uninsured/underinsured, would be much easier to address. While the rate of uninsured Americans has decreased under Obamacare, coverage options have decreased significantly. Americans are also experiencing higher premiums and higher deductibles, thus impacting the wallets of both employers and employees. New legislation must address the cost structure for the consumer. If it fails to do this, the healthcare system as a whole will become too expensive for Americans to participate in. The workarounds are numerous and costly. If consumers could get back to a simpler system, healthcare would be less costly and insurance could operate more efficiently. There are many potential paths for the healthcare system. However, most of them will involve changes that will cause dramatic shifts in the underlying fundamentals. The healthcare system is in need of simplification similar to the lean operational and manufacturing processes that TMA members engage in and influence daily. As the system is forced to find solutions other than generating more revenue, these simplification processes will take hold. Each of these shifts will create opportunities for restructuring professionals as the various businesses that are built around the current industry structure are required to adapt. These evolutionary forces will cause some businesses to fail and some to thrive.